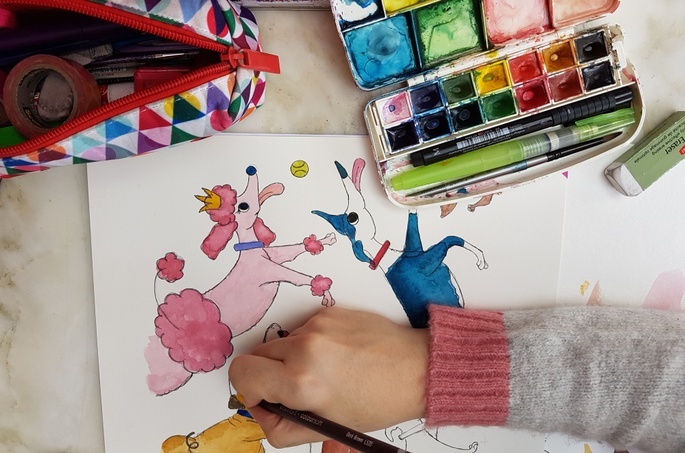 The recently launched 'Pointy Pembleton Visits the Dog Park' (written by Nat Panzarino, illustrated by Fer Wicker) is about a gregarious Greyhound character that shows children how to accept others that may be a little different. Money from each book sale will go to Greyhound Rescue (Sydney) to help rescue, rehabilitate, and rehome these gorgeous dogs. We have always loved reading books growing up and those featuring dogs have a special place on our bookshelves and in our heart. Beautifully illustrated books encourage young kids to open them and to enjoy reading more! * Major Prize: the winner will receive a copy of the book ($23.95), a limited edition signed and numbered screen print ($100), a tote bag ($20) and a fridge magnet ($2). 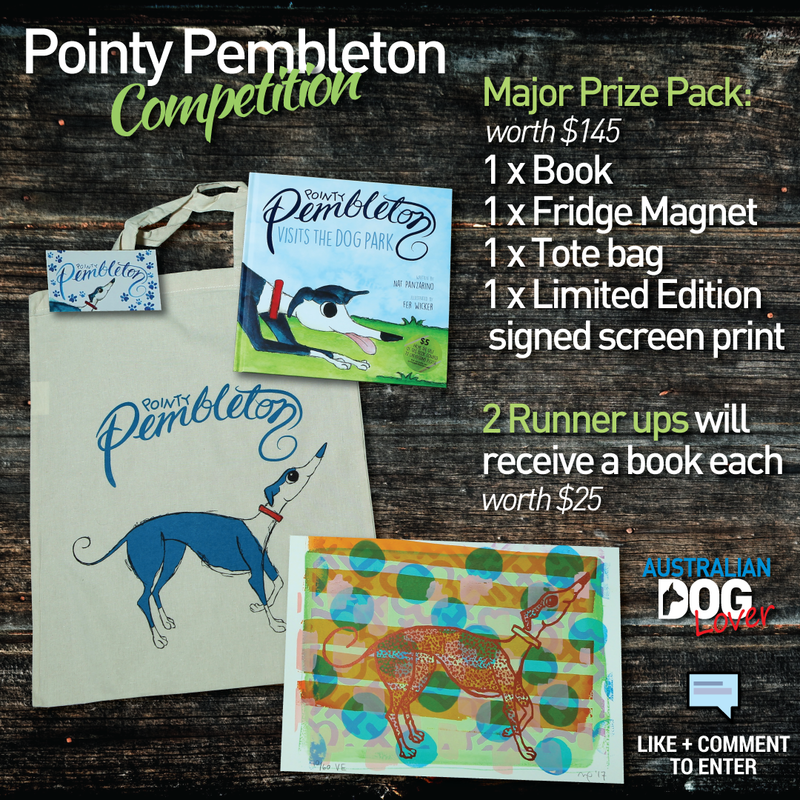 * 2 Runner-up Prizes: 2 winners will each receive a copy of 'Pointy Pembleton goes to the Dog Park'. To Enter, Like and Share our post on Facebook or Instagram (06/10/2017) and tell us "why your child(ren) would love reading Pointy Pembleton?" Be creative! 1. This Competition will close on Friday 13/10/2017 (1pm). The winner will be announced on this page on Saturday 14th October. Please allow 2-3 weeks to receive your prize directly from the Pointy Pembleton team! 2. To enter, like and share and tell us "why your child(ren) would love reading Pointy Pembleton?". The entries judged most creative will win!